C. J. Redwine takes the classic story of Snow White and the Huntsman and makes it almost impossible to recognize. The plot is fast-paced, following Lorelei, who is desperate to get revenge on the powerful sorceress, Queen Irina, who has taken her throne and the life of her father. Meanwhile, Irina is equally desperate to end the life of Lorelei and her brother, making there no contest for the crown. That’s when Prince Kol comes in. Searching for a way to save his kingdom, he agrees to help Irina and hunt down Lorelei. And he has a bit of an advantage, considering he can turn into a freaking dragon. And so the epic story begins, filled with an abundance of magic, violence, romance, and action. Redwine’s writing style is absolutely beautiful. It maintains a dark tone while also adding in aspects of humor. Her world is described vividly with visuals that can stun or disturb. The setting is built in a way that makes it feel complete but also allows for further areas and magic to be explored in later novels. Her characters are realistic and human (even when they aren’t fully), and their relationships and dynamics bring joy to what would otherwise be gritty tale. Their backstories are weaved neatly into the plot, unfolding in ways that maintain the pace but also add a depth to the people we are reading about. Even the bird(gyrfalcon) was fully developed and a fascinating character. And I really want to befriend the violent little guy. 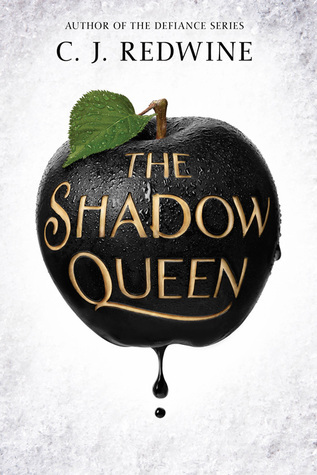 The Shadow Queen is a breathtaking adventure for any fantasy fan.